Formerly part of the communist bloc, this quiet Eastern European country has been changing at a rapid pace during the past two decades. Romanian society and economy are constantly evolving, and the transformation has grown momentum since the country entered the European Union in 2007. Bucharest, the capital city, is the main economic and financial hub and the sixth most populous city in the European Union. Once known as "Little Paris", it nowadays bears little resemblance to the French metropolis, having developed, in exchange, a character of its own. This is Romania's most developed city, with the highest standard of living in the country. It contributes approximately 22.7% to the economy's GDP and a quarter to its industrial production. The city's main economic sectors are services and constructions. Bucharest is home to the headquarters of nearly all of the country's major companies. 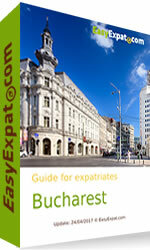 The city also has Romania's biggest IT&C industry, to the Bucharest Stock Exchange and an important retail sector. Bucharest is also Romania's major industrial hub, with numerous factories operating within the city limits, producing automotive equipment, industrial machinery and equipment, electric and electronic equipment, textiles and footwear, among others. You can also discuss and share experience about Romania in our forum.